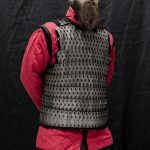 Lamellar armor in Early Middle Ages was not so popular as chainmail however some archaeological findings (Birka, Gotland, Sweden) give a proof that this kind of armor was used in Scandinavic region. 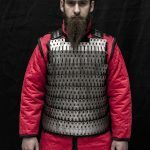 According to historical sources viking armor had some influence from Byzantine Empire and Kyivan Rus since some vikings were mercenaries in both. 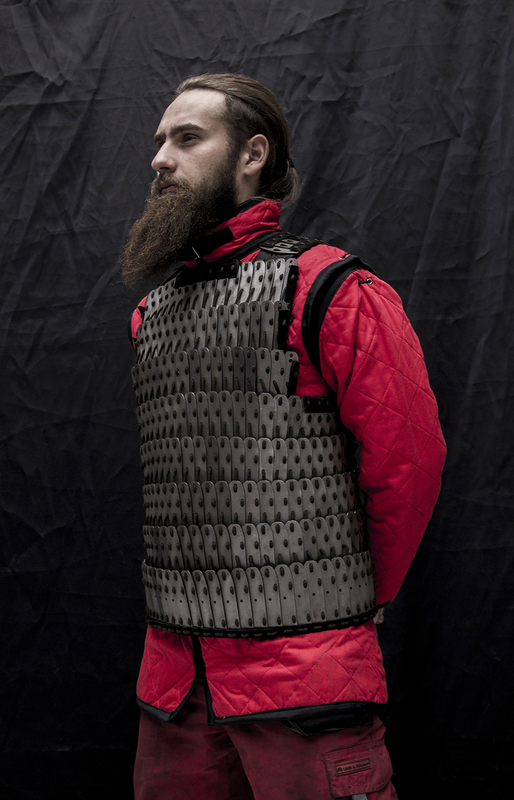 In common conception lamellar armor was the most popular among nomadic tribes of Middle East. 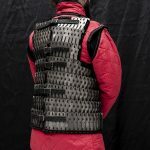 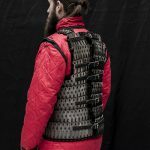 Lamellar armor is made of steel scales fixed by leather laces. 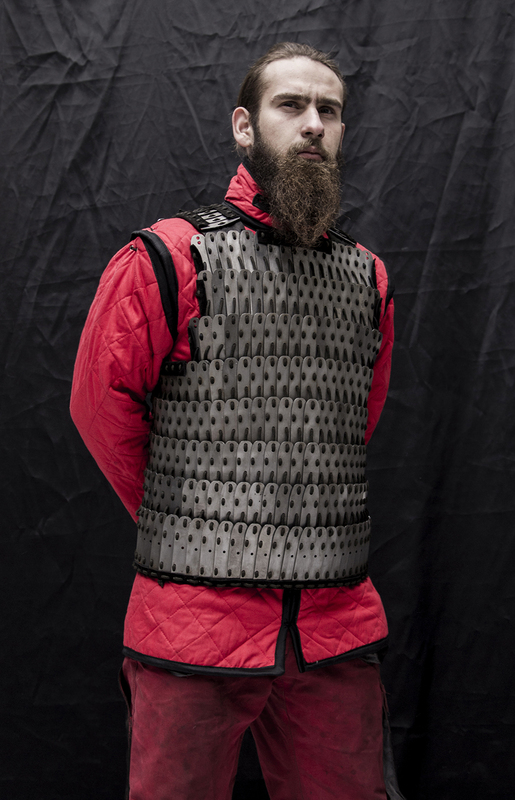 Each scale is overlapping next one. 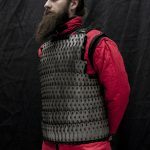 Finally each line of scales is overlapping a line above. 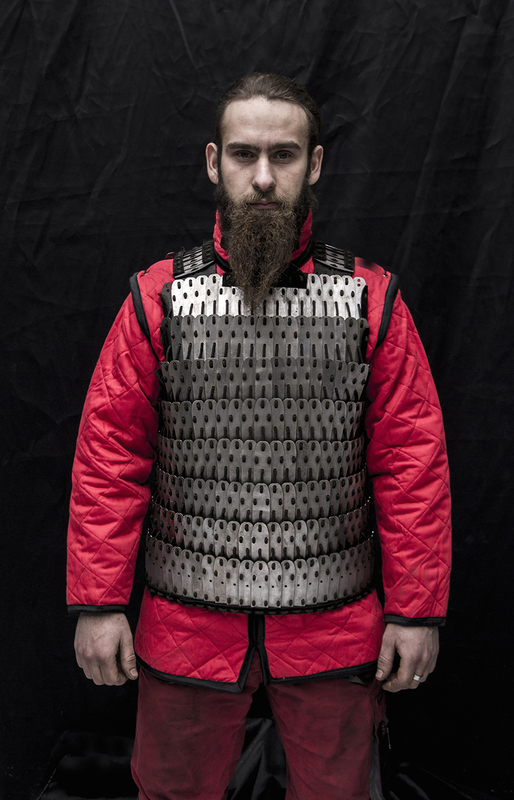 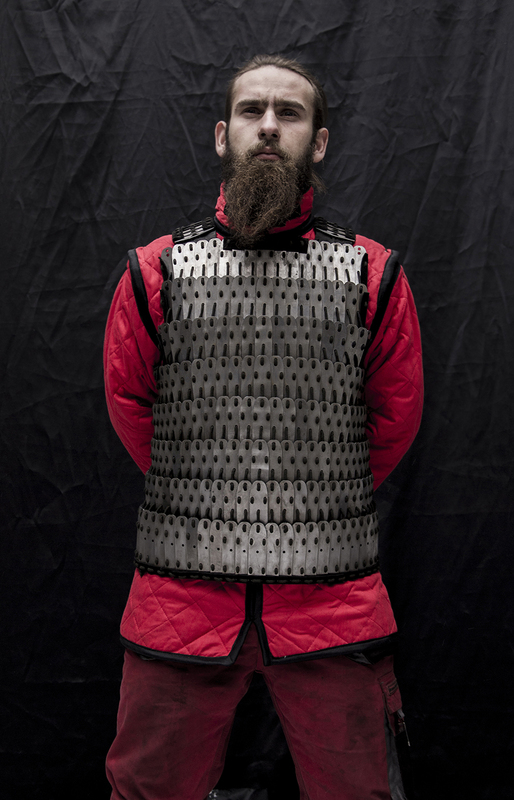 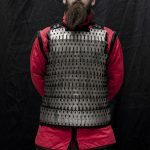 Our Birka lamellar armor consist of eight lines of steel scales. 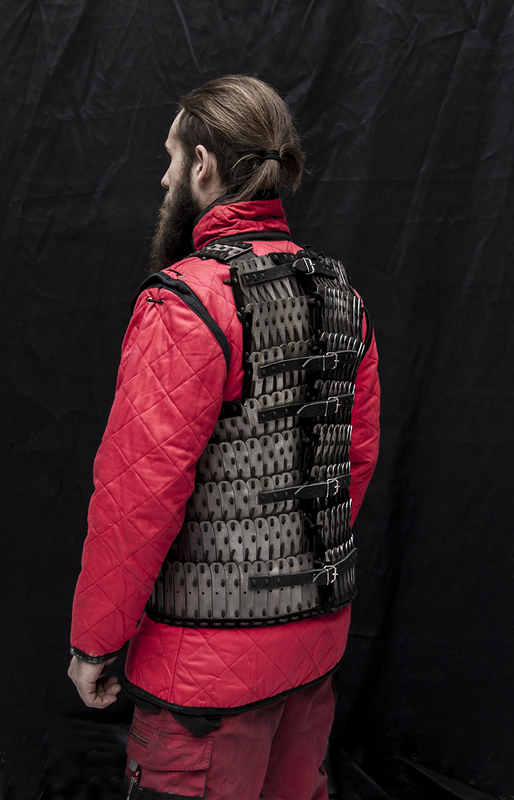 It is equipped with leather straps and buckles on the back part. 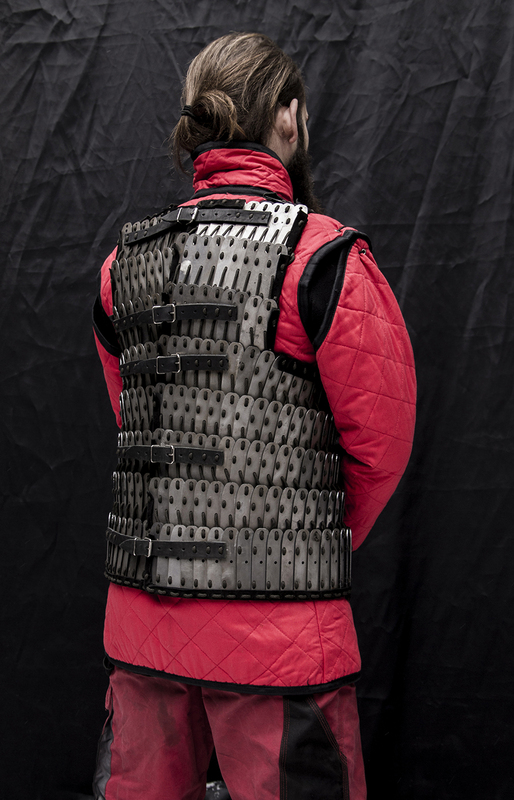 Edges of outside steel plates are bordered with leather. 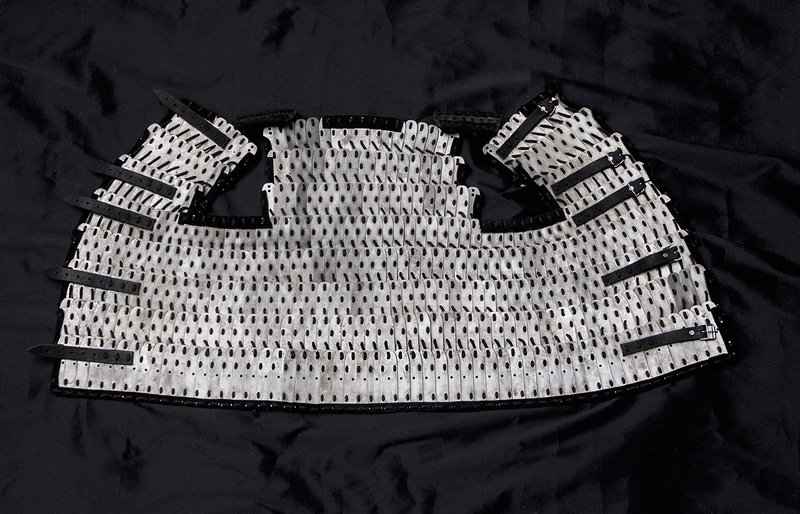 Shoulder lines of scales are fixed on the piece of leather because this part gets the weight pressure of all lamellar armor. 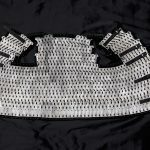 Steel scales of Birka lamellar armor can be done of tempered spring steel or titanium by your choice.